We are a service company providing service to area oilfield operating companies, daily operational service to two refineries in Kansas as well as regional services to pipeline companies in Kansas, Nebraska, Iowa, Missouri, Oklahoma and Texas. Our company is associated with ISNetworld and DISA. 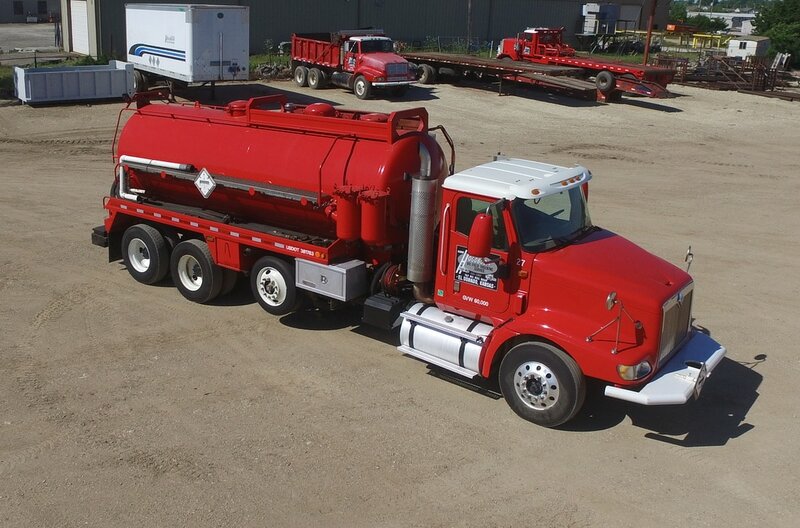 Each of our vacuum trucks are equipped with 80 barrel DOT approved tanks with 3” Roper gear pumps on board and automatic shutdown engine devices. We’re HAZMAT and hazard waste licensed haulers. Please call our office at 316-321-1397 to further discuss services and pricing.